The main thing I was thinking about when I saw this challenge was the concept about a futuristic city immersed in polution. I was thinking about a city located arround the year 3000, a city that doesn´t sleep at all, mainly the future that we are heading at this rate. Just the first draw that I made when I thought about the concept I wanted to archieve. I though about adding market-like structures in the streets to archieve an urban look. Also thought about the environment as a bad looking and living neighborhood controlled by the police and government. Spaceships are able to drive underneath the streets or above them, but they are not from anyone in the neighborhood. Just starting to blockout the scene in order to know how I wanted the environment to be. 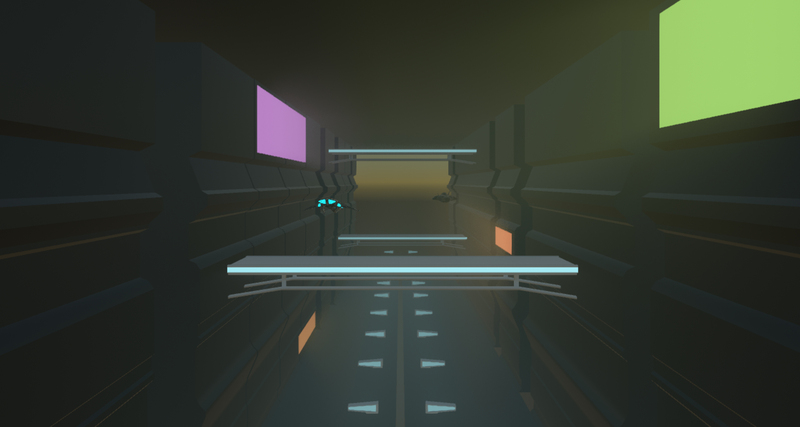 Just modeled a basic building that looked more or less futuristic and intenced it arroud the scene. Also started to play with the lights that more or less I wanted in the scene. Also added some bridges made by myself to get something less basic as a scene. Started to look for assets in the store, mainly free ones, and added some to the scene. The concept is that the people that live there can´t leave at all, so in the low part of the wall there are some doors that will be guarded by police, in the midlle part is where the spaceships that have to go in can leave. Just started to add a lot of things to the scene but also added the main thing, The Post-Process.